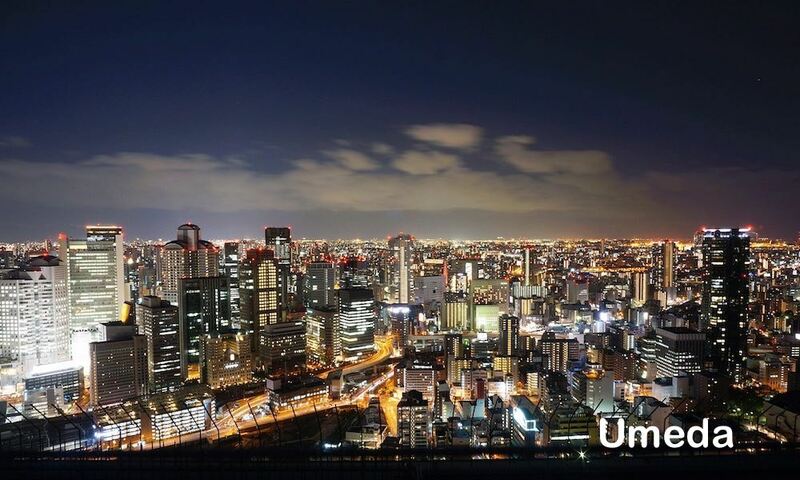 Osaka is the second largest metropolitan city in Japan after Tokyo. 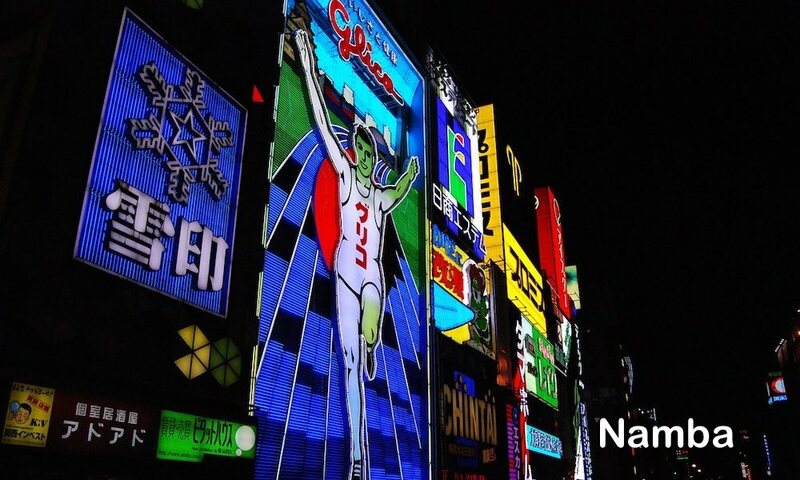 Osaka is very close to Kyoto, Nara and Kobe, so it is easy for you to do day trip to Kyoto, Nara and also Kobe. 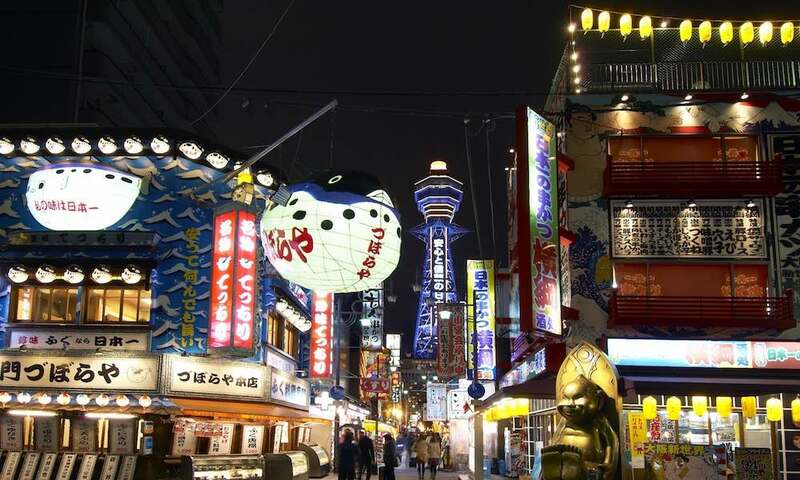 Osaka has lots of tourist spots and interesting shopping places. 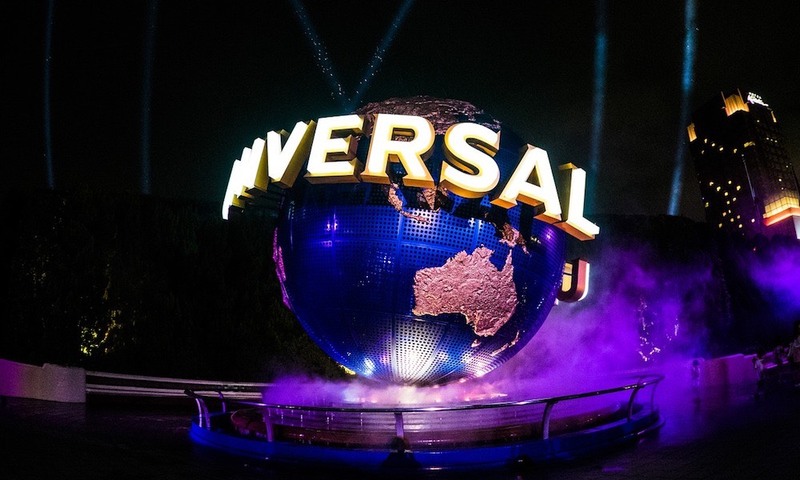 If you travel Osaka without tour package, Easy Travel would like to introduce a pass which is very cheap. It is Osaka Amazing Pass. By using this pass, you can use Osaka public transportation (bus, subway) for free. 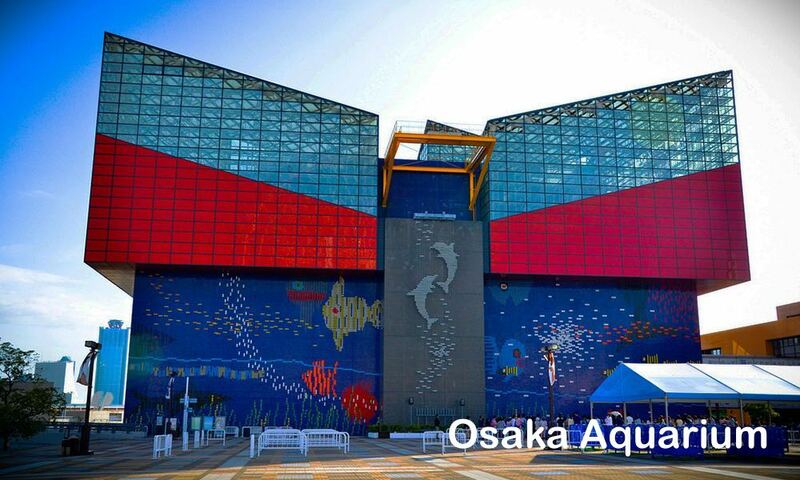 Not only that, you can also enjoy lots of Osaka tourist spots facilities such as boarding Santa Maria Pirates ship, free onsen / public bath, free entrance to Osaka famous observatory (Umeda Sky Building), free ferris wheel entrance, free entrance to museum, and so on. Moreover, you can get certain discount in some shops or restaurants. It costs only ¥2,500 for 1 day pass and ¥3,000 for 2 day pass. If you translate okonomiyaki into english, it means "fried anything you like". Okonomiyaki is Osaka most famous dish. You can find lots of Okonomiyaki stores in Osaka especially in Namba Area. Okonomiyaki is a pancake-like with shredded cabbage and a whole range of other ingredients such as prawn, octopus, meat, finished with mayonnaise, nori, katsuobushi. In some restaurants, okonomiyaki is prepared by the customers on a hot place on their table. 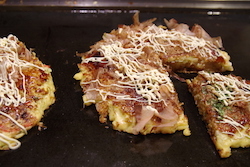 So you can also try to cook your own okonomiyaki. 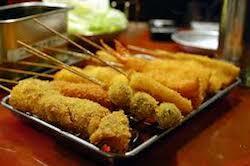 Kushikatsu is deep fried pieces of food on skewers. Meat and vegetables are the most common ingredients for kushikatsu. Shinsekai is the best place to enjoy Kushikatsu. 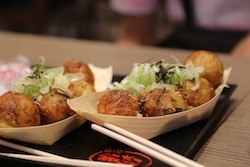 There are lots of restaurants selling delicious kushikatsu. 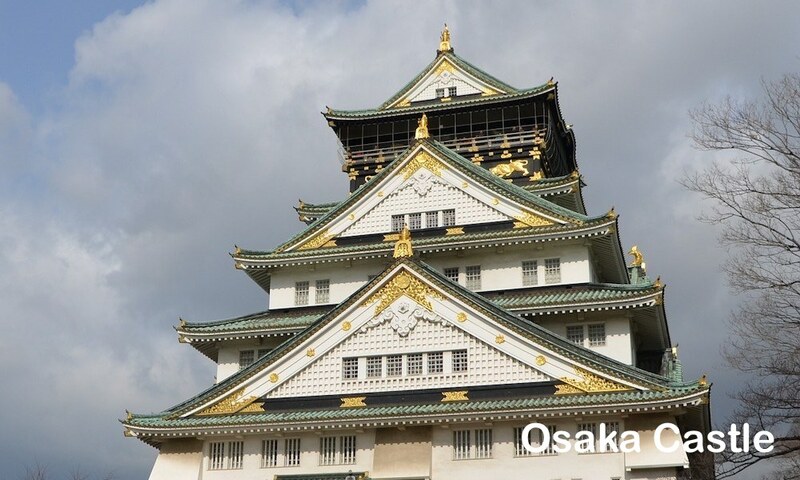 Osaka has 4 seasons, spring, summer, autumn and winter. Osaka Spring starts from around April to June. The temperature ranges from 10 ~ 20 Celcius. You can see beautiful sakura blooming in this season. Osaka Summer starts from around July to September. The temperature ranges from 25 ~ 35 Celcius. Osaka Autumn starts from around October to December. The temperature ranges from 8 ~ 20 Celcius. You will see trees turn into reddish and yellowish color. It is a great season to climb mountains. 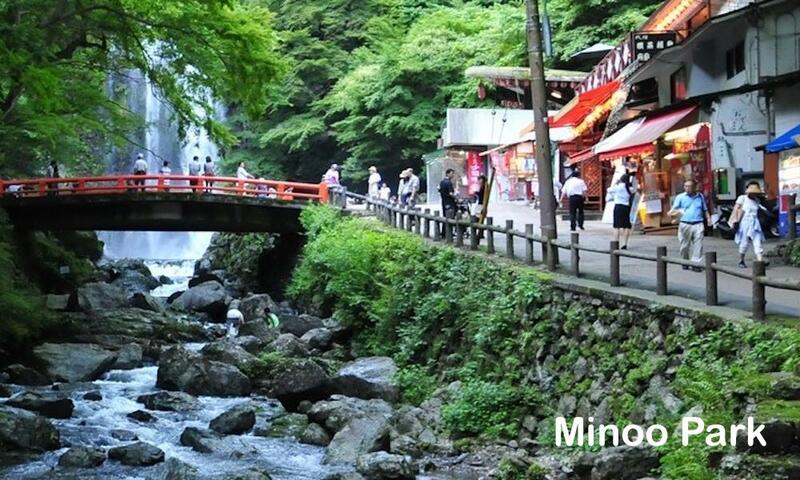 The closest hiking place in Osaka is Minoo Park. Osaka Winter starts from around January to March. The temperature ranges from 0 ~ 10 Celcius. Osaka has a great public transportation system. You can go anywhere using train, subway and buses with afforable price.